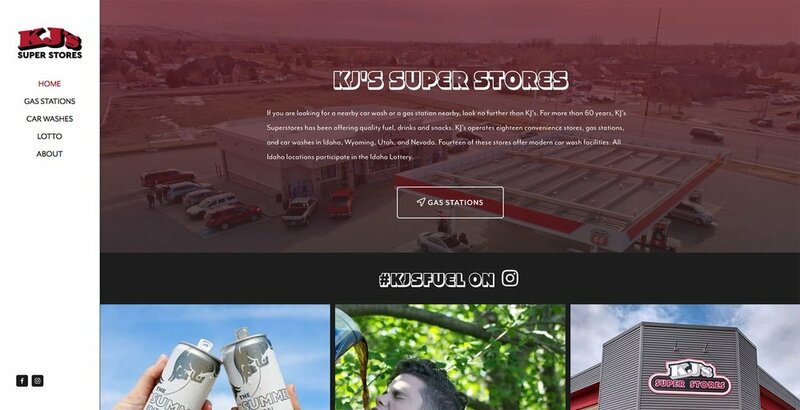 KJ's Super Stores is a chain of gas stations located across Idaho, Wyoming, Utah, and Nevada. This family-owned business has been around for several generations and now boasts 20 locations. KJ's has always invested in their marketing and felt the need to stay ahead of the competition. KJ's made the call to Porter Pro Media to revamp their social media presence in order to make their online presence match their well-known reputation. Every week, Porter Pro Media produces and posts a video for KJ's Thirsty Thursday, when fountain drinks are heavily discounted. Within just a few weeks, these videos became a sensation. KJ's Super Stores is now known for Thirsty Thursday and has the increased revenue to show for it. KJ's Super Stores had multiple duplicate Facebook pages. There was a bit of cleanup needed to merge the Facebook pages together in order to keep the brand message consistent. After merging the pages together, it was time to start introducing high-quality content to the page. We designed an entire branding campaign around their different locations and services with a focus on Thirsty Thursday. Each week, we post about various store announcements, open job positions, or items that are on sale. Every Thursday we post the anticipated Thirsty Thursday video. KJ's original website was starting to feel outdated, so we decided to give their website the modern twist to match their marketing. By tieing in KJ's Super Stores Instagram feed to the website, we were able to bridge the divide that previously existed in their online presence. KJ’s started with 230 likes on Facebook and little to no interest from their followers. Considering they have over 18 locations, that simply was not cutting it. With a strong branding campaign, we were able to take them to 8,000 followers. Customers now recognize a Facebook post from KJ's before they even see their logo. These numbers aren't just impressive, but they can be traced directly to in-store sales. since starting with Porter Pro Media. The new KJ's website features a modern layout with emphasis on finding the nearest gas station. The homepage is integrated with KJ's Super Stores Instagram feed in order to help tie their social media with their website. Every page of the website features imagery captured by the Porter Pro Media team. This website is tailored for mobile devices as well and makes it easy to find the nearest KJ's to you. Our social media strategy for KJ's is to show the fun aspect of the brand, the history of the company and the employees, as well as the well-loved brands of products that KJ's carries. With so many different locations, it was important to start by creating a brand that would be consistent. By focusing on Thirsty Thursday videos, employee spotlights, and product features, we were able to solidify KJ's social feed.